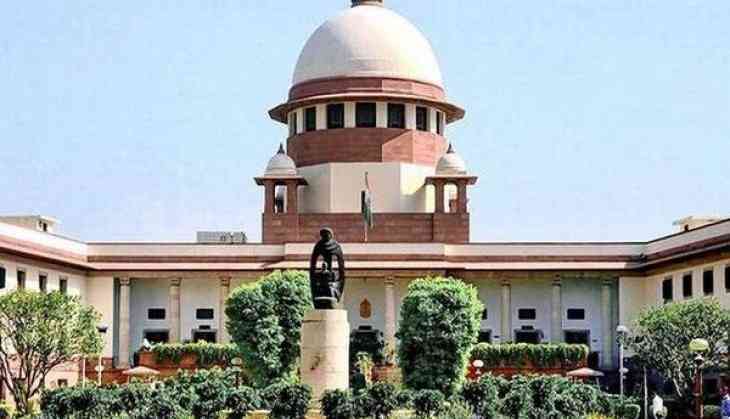 Supreme Court on Tuesday while hearing on the PIL seeking to disqualify politician charged in criminal cases from contesting or be disqualified after conviction said, it is for parliament to keep criminals away by bringing the law. “Parliament must ensure that criminals must not come to politics. No bar on criminal antecedents of political leaders, it's Parliament to make laws,” CJI while reading out the verdict. The apex court said that Parliament must make a law to ensure that candidates(politicians) with criminal antecedents don't enter public life and take part in law-making. However, the court also said parties should issue declarations and give the antecedents wide publicity in the electronic media. "We are not in a position to add disqualification of candidates on the filing of charge sheet in criminal cases," Chief Justice of India Dipak Misra said. "We had demanded from SC to ward off candidates from contesting polls against whom charges have been framed in heinous crimes. Validating our demand, SC has directed Parliament to pass a law that can stop of politics," Lawyer Ashwini Upadhyay said. Meanwhile, according to the Representation of Peoples (RP) Act, under this lawmakers are barred from running for office only after being convicted in criminal cases. Leaving it to parliament to stop criminals from contesting polls, the court said: "National interest demands parliament enacts such legislation and the country awaits such a legislation." The chief justice added, "It's the responsibility of all to enforce the law." A bench headed by Chief Justice of India Dipak Misra, compromising justices Rohinton Fali Nariman, AM Khanwilkar, DY Chandrachud and Indu Malhotra reserved the verdict. Attorney General KK Venugopal, who was representing the Centre in a counter said, that depriving a person of contesting elections would amount to a denial of the right to vote, which also included the right to contest. the Attorney General had said, "Mere allegation cannot prevent a member from contesting." While in course argument the petitioners pointed out that the how the politicians were deliberately late and this is how several lawbreakers enter the legislature and become lawmakers.